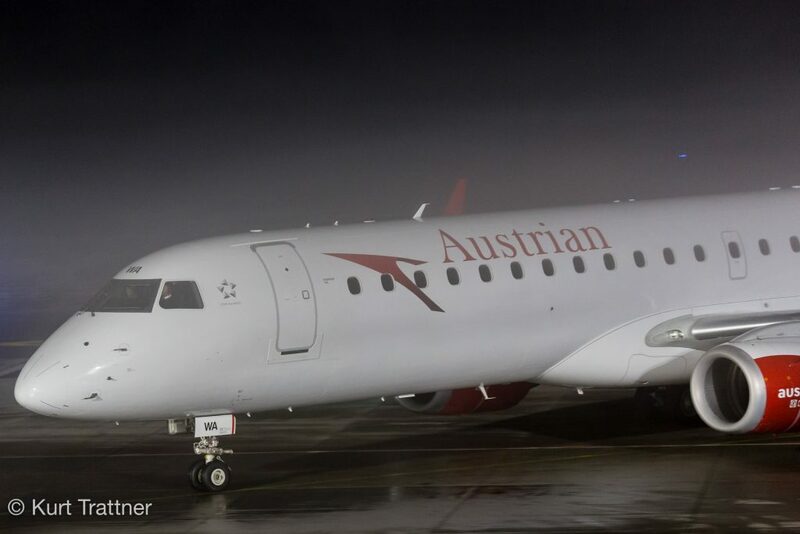 From January 2nd 2017 until January 5th 2017 Austrian Airlines changes the aircraft type on the Graz – Frankfurt rotation from an Airbus A319 to one of their new Embraer ERJ-195. For this purpose, the Vienna – Graz night connection, flight OS975, on January 1st 2017 was served with an Embraer ERJ-195 instead of the regularly used Bombardier Dash 8 Q400. The registration of this Embraer was OE-LWA. The first Embraer flight from Graz to Frankfurt will start on January 2nd 2017 at 06:05 a.m. with flight number OS251. According to the current schedule, all 4 daily rotations between Graz and Frankfurt will be served with an Embraer ERJ-195 until January 5th 2017. The change from the Airbus A319 to the Embraer ERJ-195 reduces the seat capacity from 138 seats in economy class to 8 business and 108 economy seats per flight. From January 6th 2017 all 4 rotations will be served with the old Fokker 100 aircrafts for the rest of the winter flight plan. The Fokker 100 has a seat capacity of 105 seats in economy class, which is also a reduction of 33 seats compared to the Airbus A319. The planned aircraft change from Embraer ERJ-195 to Fokker 100 is still pending. At the moment, Embraer jets are still serving the Graz – Frankfurt connection. We will update this article if there are some news. 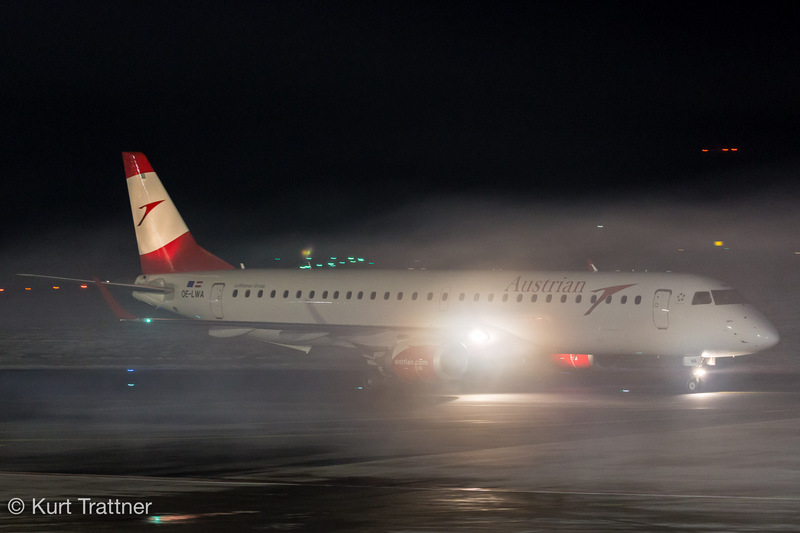 Austrian Airlines OE-LWA arriving in Graz on January 1st 2017.